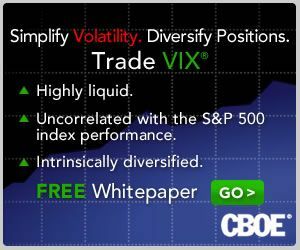 Investors who have been trading the VIX futures, VIX options and VIX exchange-traded products in 2012 have no doubt observed that there has been a wide gulf between the volatility predicted by the VIX front month futures and the back month futures. How wide? Well the graphic below shows the average (mean) normalized term structure for each year since the VIX futures were launched, back in 2004. In normalizing the data, I have set the average front month VIX futures contract to 100 and have expressed the averages of the second through seven months as multiples of the front month. For anyone who has followed the VIX futures closely, it should come as no surprise that 2008 (solid red line) is the only year in which the full VIX futures term structure was in backwardation (front months higher than back months) in aggregate. During 2009 (solid orange line), the term structure transitioned from backwardation to contango (front months higher than back months) and for the most of the balance of its life, the VIX futures term structure has remained in contango. The graphic shows no discernible trend of extreme contango evolving over the past few years. While 2010 is the year with the second highest degree of contango across the full term structure, contango was decidedly muted during 2011. In fact, 2011 saw the longest continuous stretch of backwardation during the height of the European sovereign debt crisis. Looking closely at the differences between 2012 and 2010, there is very little difference in contango out to the second month. The normalized term structure curves begin to diverge substantially only after the third month, where the 2010 term structure begins to flatten and the 2012 term structure continues an almost linear ascent. In fact the most distinctive feature of the 2012 term structure is the absence of any significant flattening in the VIX futures curve in months four, five, six and seven. This is part of the reason that while XIV is up 165% for the year, ZIV has managed a gain of 72%. As this series continues, I will examine some of the possible causes of the recent persistent steep contango in the VIX futures term structure, particularly in some of the back months.